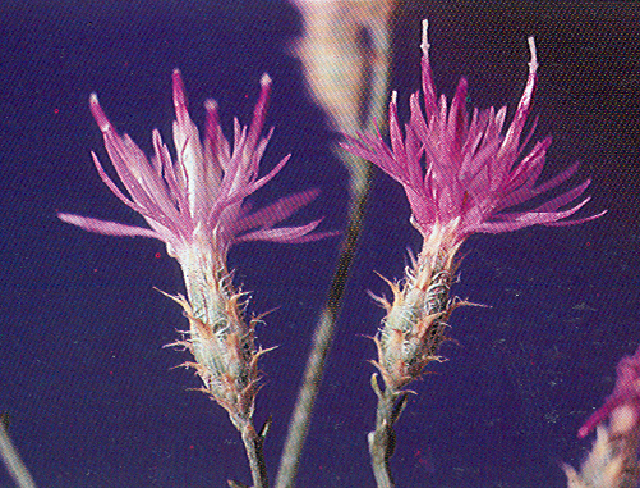 Squarrose knapweed is a native to southwestern Asia and the Middle East. 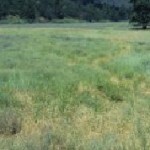 It is a relatively new invader to North America, being first recorded in California around the 1950’s. 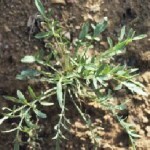 Squarrose knapweed is a long-lived, tap-rooted perennial that usually grows to about 12 inches but may reach 18 inches tall. 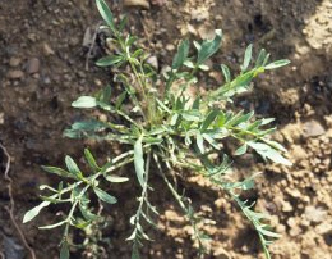 Its leaves are deeply lobed and, like the stems, are covered with very fine hairs. 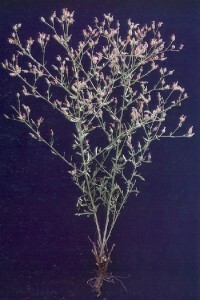 The flowers are small and pink with bracts that curve outwards. It’s distinguishable from other knapweeds in that diffuse knapweed’s bracts aren’t recurved and spotted knapweed’s bracts have dark spots. This plant is highly invasive, particularly in native bunch grass and prairie communities. 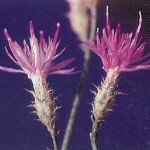 Squarrose knapweed reproduces mainly by seed dispersal. Because the plant is a perennial and will re-grow from root reserve for more than 2 years, one plant can produce many seeds over a lifetime. The morphology of the seeds makes them particularly easy to disperse and they remain viable for many years.